Our guest violinist for the afternoon’s entertainment, Helena Wood, steps onto the stage against the backdrop of heartfelt applause. No stranger to the platform, Wood is constantly in demand as a soloist, chamber musician, leader and director. She currently occupies the role of concertmaster of the RTÉ National Symphony Orchestra. Her first piece, Mozart’s ‘Adagio for violin and orchestra’ (1776), is a musical portrait of pure serenity. The difficulty is not in the technicality of the articulation, but in the intonation of the lengthy phrases. Wood captures the lyrical essence of this work with artful ease. Her facility of musical expression is breathtaking. Staying with Mozart, his concise and delicately crafted ‘Rondo in C’ (1781) is equally tasteful. Here, Wood’s lively and solid interpretation is stylistically effortless, and ends with great approval from her audience. Her musical interaction with the orchestra illustrates Wood’s comfort playing alongside her colleagues. Tchaikovsky’s Souvenir d’un lieu cher (1878) heralds Wood’s return to the stage. This three-movement suite was originally given to Tchaikovsky’s patroness Nadezhda von Meck as a gesture of thanks for allowing him the use of her summer home. Wood’s performance of the ‘Mélodie’ is flawless, while the challenges of the ‘Scherzo’ are handled with energetic aplomb. Her superb playing is endorsed with exclamations of approval throughout the hall. Helena Wood, the orchestra’s popular leader, is the soloist tonight for the monumental Violin Concerto in D, also by Beethoven. Like two other recent solo violinists with this orchestra, she plays from the music rather than by memory. Unlike the previous two, her performance never invites the assumption that she uses the music because she hasn’t had time to practise: her performance verges on flawless. Her tuning is perfect, and her tone (sweet, unforced) and imperceptible bow changes are carried by a superb technique. ….The instrumental solos were well taken, the most memorable of them being the period-instruments flavour conjured up by leader Helena Wood. 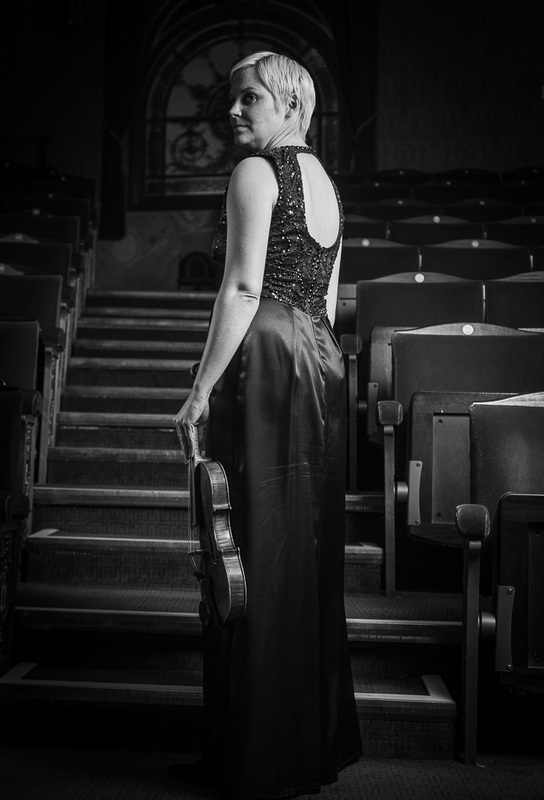 The Purcell Room on 8 September was the venue for a remarkable Kirkman Concert Society programme by the young violinist Helena Wood, partnered by pianist Sophia Rahman. The violinist was joined by her sister Katharine for a fine performance of Ravel’s Sonata for Violin and Cello, a superb work that, because of its unusual scoring, is rarely heard. The Ravel began the second half and had been preceded by Lutoslawski’s Partita for Violin and Piano. The Lutoslawski was displayed playing of a very high standard, convincing and brilliantly communicative, full of an artistic commitment that was utterly gripping. The Ravel was followed by two encore-like pieces, August Wilhelmj’s arrangement for Violin and Piano of Chopin’s Nocturne Opus 27 No 2 Nocturne, which worked surprisingly well in this version, and a dazzling display from both artists in Vieuxtemps’ Souvenir d’Amerique, subtitled Variations burlesque, a brilliant short set of variations on Yankee Doodle, written for the composers’ first American visit in 1844. This was despatched with considerable virtuosity, and was thoroughly enjoyed by the large and appreciative audience. A fine young performer graced the stage at the Queen Elizabeth Hall on 20 April. 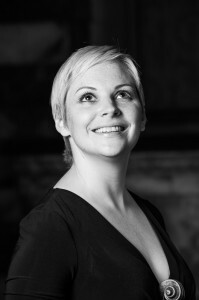 Helena Wood aged 19 has already built up a number of appearances as a soloist. Wood’s reading of Mozart’s Turkish Violin Concerto no 5 was energetic and fresh, its lyricism eloquent. She showed nimble-fingered poise in the first-movement cadenza and songful purity in the Adagio, while the final Rondo was infectiously lithe, the Turkish episodes teasing and buoyant. The second work of the evening is Beethoven’s Violin Concerto in D Major, Op. 61. The first movement, Allegro ma non troppo, calls for considerable virtuosity on the part of the soloist after a long orchestral lead-in. The second movement, Larghetto, has a simple theme which is traded beautifully between the solo violin and the orchestra, both in its prime shape and with a number of variations. The Rondo, the last movement, ends the Concerto with a fast but melodic conclusion. The soloist Helena Wood, the Concertmaster of the RTE National Symphony Orchestra, gives a palpable sense of her close connection with the Orchestra during the performance. Her considerable talent is clearly demonstrated in a masterful performance of this work, which is an extremely demanding one. The ovation she received at the end is resounding, not least from her colleagues in the Orchestra. She responds with a brief solo encore to round off the first part of the evening. Helena Wood proved a convincing artist, opening her programme with Ned Rorem’s Autumn Music, a work commissioned by the International Violin Competition of Indianapolis. The work seeks much of the performer in terms of both technique and expressivity, and Wood’s eloquent lyricism and intensity swept one along. Undoubtedly the most atmospheric composition of the evening, however, was Oliver Knussen’s Prayerbell Sketch, based on an unrealised concept by the late Toru Takemitsu and including some beautiful and mysterious bell timbres that hearken back to Messiaen. Once again, Wood proved that she has a real command of tonal variety in her highly accomplished playing. The violinist Helena Wood and the pianist Michael Hampton are regular duo partners and their recital at the Purcell Room on 19 April showed how well-balanced and closely-knit is the partnership they have created. The opening Largo-Allegro of Mozart’s B flat major Sonata K 454 confirmed the technical security of both soloists; while in the Allegretto the two seemed to be playing a game of tag as they scampered through the unexpected twists and turns in the music. Mozart wrote this Sonata for Regina Strinasacchi, whom he described as “a very good violinist, with excellent taste and a lot of feeling in her playing”, words that might also be written about Helena Wood. Maurice Ravel in his G major Sonata chose to treat the violin and piano as “two incompatible instruments” so that while in the first movement the violin soars to the heights, the piano dabbles in the Impressionism that marks this composer’s music. The Blues, which takes the place of a conventional slow movement and brings the piano into the limelight, drew a sympathetic response from Hampton who seemed to enjoy the chance to explore less well-trodden paths. Then it was the turn of Wood to indulge in an impressive display of virtuosity in the Finale. Brahms’s Third Sonata transported the duo into the very different sound world of the composer’s late chamber works, which inspired playing of rich-toned intensity in the earlier movements from Helena Wood, and she rose with exuberant confidence to the demands of the concluding Presto agitato, drawing on her instrument’s full range of colours. It was a performance of satisfying depth and maturity. They concluded with two arrangements made by Stravinsky of the Chanson Russe from his Opera Mavra and Danse Russe from the ballet Petrushka; the haunting melody of the first, with its echoes of Rushian folk music, expressed with telling melancholy on the violin, contrasting with the brilliance of the Danse, which called for virtuosic playing that was well supported by the pianist. Electricity crackled when the Philharmonia mounted one of its invaluable Martin Musical Scholarship Fund recitals, dedicated to showcasing the fund’s award-winners. This was the violinist Helena Wood, in her early twenties, and her piano accompanist Michael Hampton. She began the Frank Sonata with a veiled tone and a seamless legato, glorious to hear. The Heifetz’s arrangement of the Prélude a l’après-midi d’un faune bought out more colours, and Sarasate’s Caprice basque enlarged the palatte even more. Hampton was the perfect partner. Let the music-making continue. In an age where young artist find it increasingly difficult to differentiate themselves on the concert platform, Helena Wood’s rewarding Purcell Room recital was a fine example of how to do it. To begin with her programme was unusual, embracing Ravel and Lutoslawski as well as more standard fare. But she was also communicative in manner and action, introducing each of her pieces in an entertaining and relaxed manner. As for the music, her opening Schubert (the Duo Sonata in A major) revealed a firm architectural and dymanic sense, a lyrical line and solid technique. It was the Lutoslawski Partita, though, that impressed more, Wood navigating its rhythmic complexities with real élan. There was also a remarkable kinetic flow to her musical journeying, a constant sense of exploration and propulsion that never slipped into excess or self-indulgence. She’s prepared to take risks too, as the performance of Ravel’s Sonata for violin and cello proved. Joined by her sister Katharine (who matches her sibling’s technical prowess stroke for stroke), it was an exciting, nerve-jangling rendition. Wood ended with a super Souvenir d’Amerique – Vieuxtemps’ burlesque variations that include the ‘Yankee Doodle Dandy’ tune. It was a fittingly brio climax to a wonderfully encouraging and upbeat concert.